SETTING A NEW STANDARD FOR SAFETY. 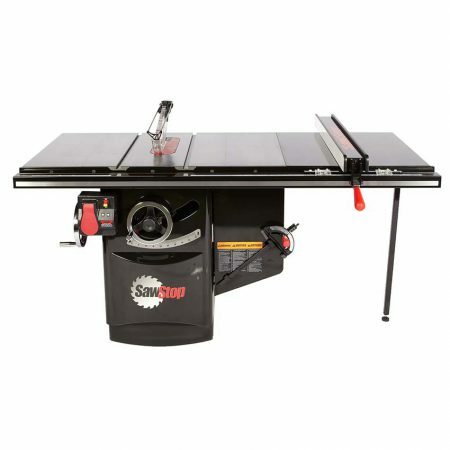 The SawStop safety system includes an electronic detection system that detects when a person contacts the blade. The system induces an electrical signal onto the blade and then monitors that signal for changes. Using a digital signal processor to constantly monitor the saw, it’s a smart saw, ready to react if an accident occurs. The human body has a relatively large inherent electrical capacitance and conductivity which cause the signal to drop when a person contacts the blade. Wood has a relatively small inherent capacitance and conductivity and does not cause the signal to drop. In order to stop the saw, a fast-acting brake stops the blade when contact is detected. The brake includes a heavy-duty spring to push a block of aluminum, called a brake pawl, into the teeth of the blade to stop the blade from spinning. The spring is held in compression by a fuse wire until contact is detected. When contact is detected, the system sends a surge of electricity through the fuse wire to burn the wire and release the spring. The spring pushes the brake pawl into the teeth of the spinning blade, and the teeth cut into the aluminum and bind, thereby stopping the blade. All this happens in about 3-5 milliseconds, or 1/200th of a second. 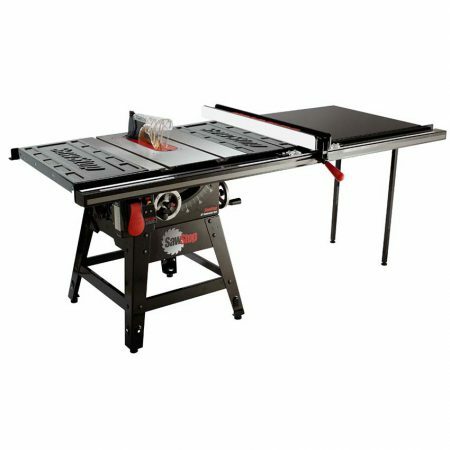 At the same time, the angular momentum of the blade causes the blade to retract below the table and the power to the motor is shut off. The brake pawl is part of a replaceable cartridge that includes the spring, fuse wire and electronics necessary to burn the fuse wire. An optional dado cartridge provides the same protection for dado cuts. 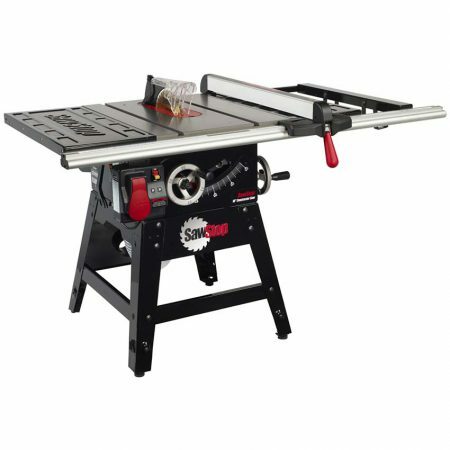 SawStop set out to not only build the safest table saws on the market, but also the highest quality saws you can buy. 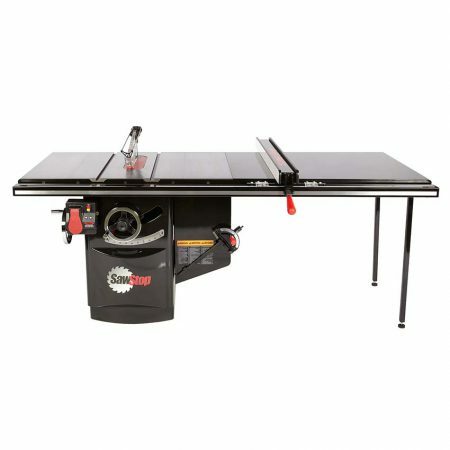 We didn’t think that table saw safety and performance were mutually exclusive. 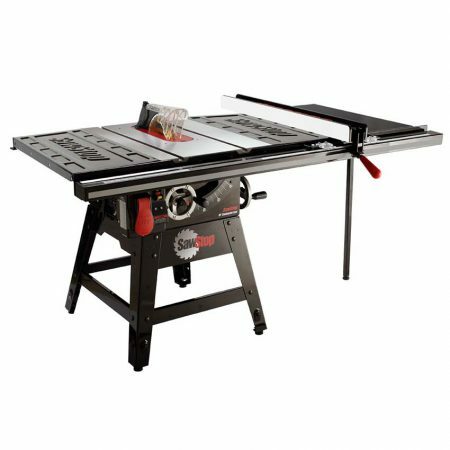 As a result, SawStop saws provide operators with superior performance as well as unparalleled safety.